Dan was nearing the end of his shift, he got a service call & showed up at Michelle's place. She had a friend there - you know, just in case things got weird. Little did she know, she was about to meet her future husband. Michelle's friend left, Dan clocked out, but stuck around to help Michelle with her cable hook up...and next thing you know, they were making plans to see each other again. When I first met these two, I could tell that Dan was absolutely smitten with his future bride. He literally could not keep his eyes off her. And the wedding day was no different. They kept things simple, having both the ceremony & reception at Pulaski Inn, with their family & close friends in attendance. No bridal party, just Dan's daughter as a flower girl. 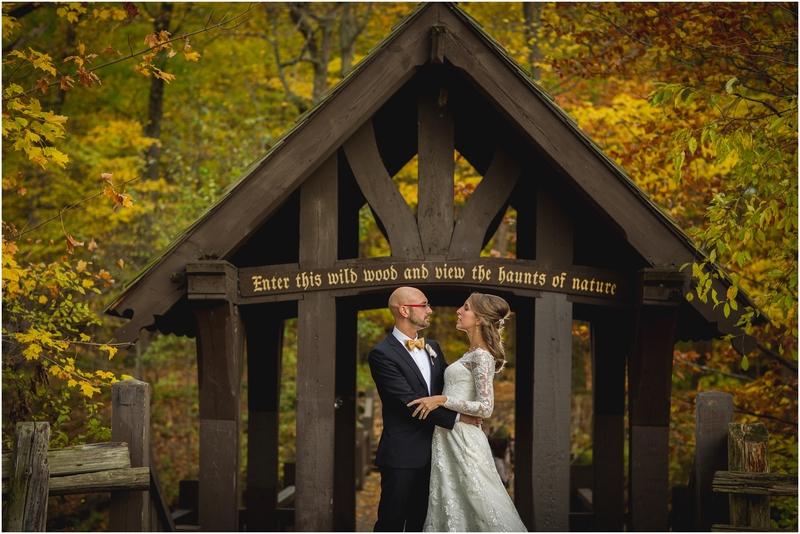 Wisconsin weddings in November can't be predicted, but we got lucky! It was a beautiful day, and a trip to Grant park for some photos gave us a gorgeous fall backdrop.